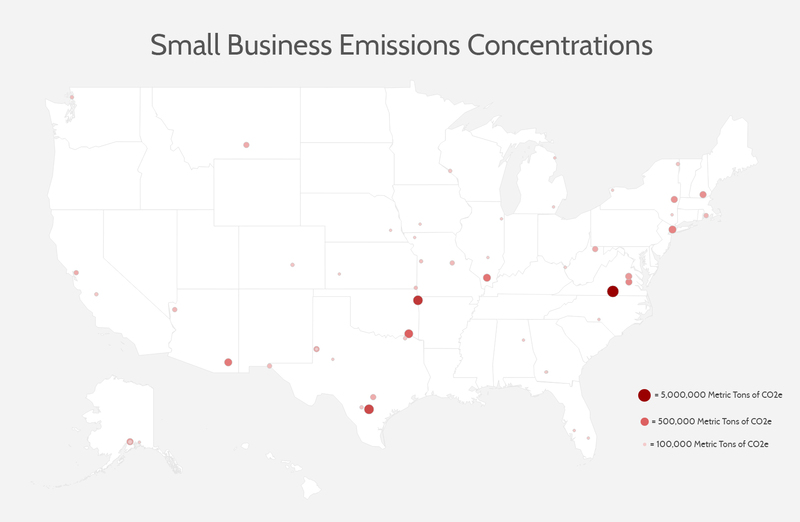 AAF Report Finds Greenhouse Gas Regulations Impact 53 Small Businesses Across The U.S.
Greenhouse gas regulations for power plants will impact 53 small businesses across 26 states, a new analysis by the American Action Forum (@AAF) has found. The AAF analysis also found that the regulations will impact coal-fired plants and natural gas plants. The state with the plurality of the small utilities is Texas, according to the AAF analysis. Of the 7 companies located in Texas that will be impacted by the GHG regulations, 6 of the companies are natural gas plants. “It is clear that small facilities with sparse capital reserves will be the most impacted by stringent GHG standards. Even though they contribute less than one-percent of emissions, small entities will face the same regulatory hurdles that large utilities encounter,” said Sam Batkins, AAF’s Director of Regulatory Policy. The 53 small utilities manage 138 locations across the U.S. and employ more than 9,000 workers. Click here to view the AAF report.